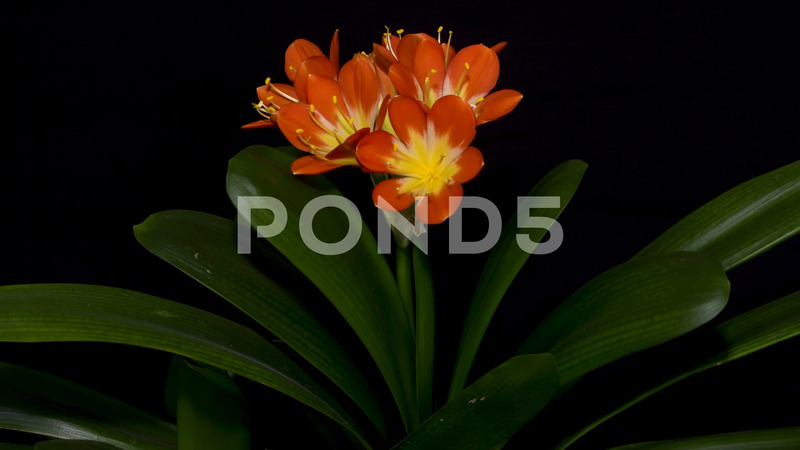 Description: Flowering Bush Lily or Clivia Miniata. Is a flowering plant out of the woodlands in South Africa and Swaziland. A popular plant living in the shady areas.